Paranoia symptoms in their intense, pronounced and clinical form are a rare condition among the population, mistake is often made between genuine paranoia and persons with paranoid personality traits - these are healthy people who are constantly on the alert, radical and more suspicious than others. Symptoms of paranoia can be relatively easy to spot, we will provide some example: A person in your environment constantly suggest that you should be careful what you say on the phone - perhaps someone is listening or during a conversation on the street your speaking partner is constantly turning around and looking for "suspicious characters." They are always saying that they are being followed, and chased and that is the part of the everyday life of these patients, or paranoia symptoms are not recognized at the first contact with these people, because the delusions are related to a single, specific topic, while in all other areas of life people think clearly, and logically. One such topic could be, jealousy for example. Paranoiac is convinced that their partner is cheating, and in each, most common situation feels adultery. For example if your partner is dressing to go out a paranoiac will think that that person is doing it for someone else. One could say that in paranoia symptoms are 100% present but is it like that? Paranoia is very difficult, but, fortunately, rare mental illness, which usually affects people between 30 and 45 years, although it can occur earlier. The origin of this disorder is unknown, but listed as possible causes are head injury, substance abuse, stress, trauma, genetics and structure of personality. 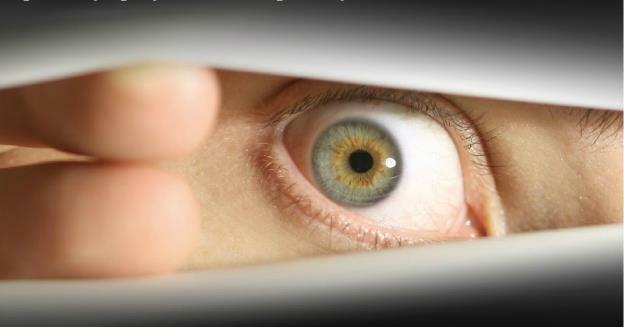 Paranoia is characterized by delusions that are erroneous, unrealistic and not subject to correction. This means that paranoid people believe in some idea and does not accept any other logical explanation. Thus, the patient may believe that he or she is being followed, or that someone is preparing a plot against or reading his or her mind, controlling emotions, thoughts and movements and the like. Paranoid psychosis is mainly reflected through low self-esteem of the patient. Paranoiac deep down feels weak, inferior and ineffective, and the grandiosity and sense of uniqueness, which is often present, can be understood as a compensatory (replacement) mechanism for a sense of inferiority. People with this disorder rarely seek psychiatric help, they are usually taken to a doctor by someone from their surroundings or when they come under pressure from the employer or spouse. Even when they voluntarily consent to treatment, they are convinced that they have no mental problems. Paranoid psychosis is not the only disorder, but there is also a paranoid personality disorder, paranoid personality traits and adaptation of paranoid personality. People with delusional disorder are intelligent and are great perfectionists, pushing suspicious beliefs that they believe are right. Very often they have outbursts, but their ideas do not exceed the delusion. Paranoid features include delusional disorder, but to a much lesser extent. People with paranoid personality adaptation are very intelligent, skeptical but it does not interfere with their daily lives they fit well into the family and society. PARANOID SYMPTOMS OR NORMAL CONDITION - Where are the borders? Some experts point out that today the term paranoia is lightly used and that people often unjustly label this disorder. It is important to distinguish between people who are sick (with associated symptoms of paranoia) and those that are healthy, but not too suspicious. Paranoiac believes to be a victim of certain people or organizations that they are persecuted, while they are too suspicious of people and every situation is well. The need to check things in more detail, along with increased caution, is not necessarily a negative feature, because the man in detail analyzes the messages received, which can be relatively constructive. When this need becomes more pronounced, it can threaten a person and its surroundings while still not becoming a pathology. If, however, it exceed the pathological system of thinking, that is, if a man in some relationships and situations sees the danger and begins to take measures to protect or liberate the enemy - then that is paranoia. When we would call every suspicious person a paranoid, we would came to the conclusion that there is an epidemic of paranoia. Fortunately, symptoms of paranoia in this distinctive form are very rare, but, on the other hand, a large number of people have paranoid personality traits - are constantly on the alert, are critical and suspicious. Therefore, it is better not to diagnose people from their environment yourself, but if you suspect this disorder, contact the technician who will set a precise diagnosis, and thus prescribe treatment, if necessary. Treatment of paranoia is quite specific, because of the patient's skepticism, group therapy is certainly not a good method of choice. The treatment must be based on an individual approach, although it is a big challenge for psychiatrists and psychotherapists as it may not immediately look for evidence of disease and determine paranoia symptoms. Just being paranoid’s distrust is the main obstacle, the first step in treatment is to establish a relationship with the therapist and the acquisition of a mutual trust. The psychiatrist must take positions that differs from those of the patient's environment and cannot bring himself into a position to defend himself. When the patient is a little more open, a therapist can do a specific conversation about what's bothering him or her and thus help to establish a balance between feeling and reality. At best, patients can reveal their desire to be accepted, which is related to their mood and frustrations of the past. This is the most common form of paranoia, and is based on the belief that patients are constantly subjected to hostility and misunderstanding of other people. Complete distrust and skepticism towards their partner. The patient always has a sense of injustice, believes that he or she does not recognize the merits, rights and personal values. These people keep trying to drive the justice and are eternally dissatisfied. Also falls into paranoia, and mainly affects middle-aged and older people who believe they are in love with them celebrities. Grandomania or paranoia hotshots are situation in which patients call themselves prophets and intent to possess supernatural powers. Imaginary disease known as hypochondria is today quite present. Hypochondriacs are people who believe they suffer from an illness even when all analysis results and reviews show that there is no trace of any health problems. Most often it comes to the fear of cancer and other serious diseases. There is a test that can help when we suspect that someone in the environment has a paranoid personality disorder. If you recognize the symptoms of paranoia at least the four specified criteria, it is possible that a person is suffering from this mental illness and that she or he needs psychiatric help. Suspicion: the patient without any foundation believes that other people want to take advantage of him or her. Being occupied with unjustified suspicions of loyalty to friends and business associates. Does not want to be entrusted to others in fear that the information would be used against him or her. Even in well-intentioned suggestions the person seeks hidden meanings. Constant resentment of others, does not forgive insults or damage what he or she believes was caused by others. Observes attack on their personality or reputation that others do not notice and quickly moves to counter-attack. Often unreasonably suspects in loyalty of their partners.